I believe that language brings people together. By learning more languages, you are opening yourself up to new ways to view the world and connect to other people in it. However, the one big problem with languages is that not everyone knows the same ones! Plus, let’s be honest, translating is a hassle! Even if there is a direct translation it often doesn’t cover the cultural meaning that say urban dictionary would give you. Also, don’t even get me started on Google-Translate and other translation apps that lead you astray! Japanese especially is such an expressive language! Full of emotion, context, and colorful imagery. Due to it’s uniqueness, Japanese has a lot of words and phrases that just don’t translate quite right. One of my favorite examples of this is the word “Mendokusai.” This word roughly translates to annoying. However, it means so much more than this! Depending on the context it can mean anything from “I don’t want to” to “this is so much more effort than it’s worth!” You can back someone up and mean “yes that is so much work!” Or you can complain about an assignment you have been given and say, “I don’t wanna, it’s too much to do!” You can also say the same word different ways. You can be blunt and say the word sharply and quickly for an impactful meaning. Or you can extend out the word over a few seconds to really exaggerate the point. You can be as loud and colorful as you want or oppositely be as cold and condescending as you would like. It is up to you! Language should fit your personality. I think learning local words and phrases that fit your lifestyle is incremental to fitting in with the local culture and finding your “in group.” One way to go about this is to learn the most commonly used expression words. You could also look in books and do research about specific hobby related words. Both of these methods would work; however, I advocate for learning the most human of phrases - complaints! There is nothing quite like complaining about common anxieties and pain points that just allow you to get along with others! My favorite complaints that start a conversation are: samui (It’s so cold! ), tsukareta (I am tired), nemui (I am sleepy), onaka haraheta (my stomach is empty/hungry), and tabetai (I want to eat that). Basically, I like to complain about the weather, my laziness, and how much I like to eat. Luckily for me I am not alone! In Japan the winters are cold, and the summers are very hot and humid. After a long day of work most people are tired and let’s be honest everyone get’s hungry! One day maybe we will all know the same language. Till then let’s fight on with our language survival skills! Seventy years ago in 1949, Japan was just a few years removed from defeat in World War II. One way for many Japanese to find a respite from the postwar grind of their daily lives was going to the cinema. Two people who helped them find that escape were director Yasujiro Ozu and actress Setsuko Hara. 1949 witnessed the first collaboration between the renowned director and the beloved starlet, and they would team up a total of six times through 1961, producing some of the greatest films in Japanese cinema history. Ozu was born in 1903 and was captivated by early silent films. He got his start in the movie business in the 1920s and gradually earned positions writing and directing silent films before his first "talkie" in 1936. Hara, born in 1920, got her start in front of the camera as a teenager in 1935. She acted in dozens of movies prior to their first joint effort in 1949 called Late Spring. In Late Spring, Hara's character is a young woman who seems content living with her widowed father until pressure from him and others persuades her to marry. In 1951 they made Early Summer. Again Hara was cast in a role about who to marry, and the film delves into the changing attitudes of young people either choosing their marriage partner or having nuptials arranged for them. Hara went on to play various family roles in her other movies with Ozu: Tokyo Story, Tokyo Twilight, Late Autumn and the End of Summer. For all the combined box office success of their six films, one movie stands out from the rest: Tokyo Story in 1953. The film's plot involves an elderly couple from western Japan traveling to Tokyo to see their children and grandchildren. What they find there, though, are family members focused on their careers, and the presence of the parents is sadly a distraction. The notable exception is their daughter-in-law, played by Hara, who was widowed during the war. She is devoted to them and does the most, especially when her mother-in-law dies at the end of the story. I highly recommend Tokyo Story not only for its obvious merits as a jewel of cinematic production, but also for its exploration of the reality of the passage of time, and how we all must accept the changes that accompany it, particularly in family life. She came over to my table and asked if I remembered her. Their table hugged a pillar blocking the sunny Tokyo Bay view enjoyed by the other customers that afternoon in Chiba’s AquaRink ice skating facility café. On my way out, I stopped to congratulate the potential groom to be. What I later heard happened with Hiromi and Hiroshi that night at another place also close to the bay sounded so too good to be true that I visited that place to confirm it really happened. It did. Hiroshi had reserved for the course menu that night at OCEAN TABLE, next to Chiba Port, on the second floor, where tables sat by the huge windows facing Chiba Port Tower and Tokyo Bay. No view-blocking pillars there. And they had a wait, even with their reservation, because it was Christmas Eve, which in Japan matters much more than the following day; the Eve is the year’s couples’ night out, and single women without dates that night can feel their whole year was wasted. Hiroshi had changed into a suit after skating, and had urged Hiromi, against her protests about overdressing, into a plaid one-piece, raising expectations. They had never come to a place this nice, one requiring reservations. Saizeriya was more their speed: fast faux-Italian, cheap, and everywhere. The unexpected wait made Hiroshi antsy. He relaxed and all was perfect after they were seated. They talked. They ate the Christmas Dinner courses. They ignored the soft Christmas background music. They admired the gleaming, golden Christmas Tree rising from the first-floor buffet area through the open center space across from their table. They could see outside the sparkling flashes and half the tree in Port Tower’s Christmas Illumination, and beyond, the lights from the ships on and facilities around Tokyo Bay, appearing almost twinkling. Perfect—but not for Hiromi. She went to the toilet. Still he had not asked. The day was done. The reservation system only allowed them two hours there. They had been together all day. He had remembered her birthday-just by coincidence, also that day-with a necklace at AquaRink. Nice, but was that all? He had pestered her since early December about what Christmas present she wanted until she had finally exploded with, “Nothing! Don’t you know I just want a proposal? !” And had added she wanted it to be a surprise. Here he had the perfect chance, and he was wasting it. She could try enjoying what was left of the evening. Dessert was next. At least here was better than Saizeriya….She was still stuck when she returned to the table, and had no chance to do or say anything, anyway. It was his toilet turn. Their desserts came. Hiromi sat and waited and pondered the future. Outside, the tower stood alone against the dark sky and Tokyo Bay’s inky darkness. Their desserts waited. Maybe his tooth was bothering him again. Maybe he was just tolerating it to make the night go well. Maybe for her. Maybe she should go to check on him. Wait-maybe she just heard his voice across the room. No, only Santa Claus, posing for photographs with diners at the far table. He then started circling the room, giving a small present from his big sack at each table. She could check after he was done. Hiroshi still had not returned to his seat when Santa reached their table. He handed Hiromi a big, red stocking, by far the room’s largest gift, accompanied by a squeaky, “Atari! You’re a lucky one!” Yeah. She set it aside and Santa moved on. What was he still doing in the toilet? Still gone. Well, he’d miss it. Hiromi obeyed Santa this time and opened it, the smallest box in the room …and her mind and face went blank. Outside, to anybody looking, Port Tower’s Christmas Illumination still flashed, and the lights on and around Tokyo Bay still appeared almost twinkling. Inside OCEAN TABLE, on the second floor, everything was happening so fast that Hiromi just did not know which was more difficult to believe: Hiroshi and the ring he first tried slipping onto the finger on her right hand, the one he had taken in his before she held out her left hand, or the following PAN! and PAN! PAN! PAN! PAN! PAN! and PAN! PAN! and PAN! explosions ripping and ribbons shooting around the room as diners at the floor’s other tables popped the party crackers they had found with the notes in their presents from Santa Claus. Copyright © 2018 David L. Gregory All rights reserved. Grocery Shopping in Neighborhood—Walk five blocks...buy only one bag...walk five blocks back. Survived it! Shopping in City Center—Walk six blocks to bus stop. Ride bus fifteen minutes. Arrive at stores. Walk around. Look. Decide: cookies. Paying options: give large bill, let clerk figure change, or open change purse, let clerk take out correct amount. Decide to just give some cash. Clerk shakes her head (“NO! MORE!”), then counts out correct amount needed from register and shows me. I mimic her action from my change purse. Smiles! Deep bows with many, “Arigato gozaimasu thank you very much!”-es. Open cookies, expecting pirouettes with chocolate centers. Instead, peanut butter waffle rolls, no chocolate. No wonder, now I see peanut sketch on package. “Shoganai can’t be changed,” I did it to myself. It could have been worse! Travelling to Visit Friend’s Family on Other Side of Chiba—Walk ten blocks to train. Purchase ticket. Electronic lady on ticket machine screen says, “Arigato gozaimasu” and bows. Ride train twenty minutes, watching for correct stop, get off, walk seven blocks to house. I did it myself! Visiting Hisae Overnight—My Japanese study partner in USA returned to Japan, now lives on other side of Tokyo Bay. Take large purse and large tote bag with jacket, nightie, toothbrush, cosmetics. Walk six blocks to bus stop. Ride bus to train station. Ride train eighty minutes to Yokohama. Find correct exit from station. EASY. Did not even look at note in pocket explaining route and Japanese signs. And, look! Hisae and three-year old Kei are waiting! “Hello!” they say! Many hugs! Then, still more travel: train together fifteen minutes, short taxi uphill to lovely apartment, sunny and bright. Returning to Chiba, just reverse process. Next time, we can meet at a station halfway in between. I can do it. 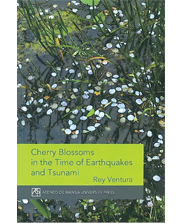 video maker and scriptwriter Rey Ventura won the 2015 National Book Award for his third collection of essays, Cherry Blossoms in the Time of Earthquakes and Tsunami, but for some strange twist of fate you will find very little information on this book. You can’t even buy it on Amazon. This is a shame because Cherry Blossoms... is a beautiful, insightful and thought-provoking book. These 11 essays, some of them autobiographical, see Ventura travelling back and forth between the Philippines and Japan, his adopted country, often portraying the many ways Filipino lives have been shaped and affected by their rich quasi-neighbor. Like in "A Suitable Donor," where the young men who live in the Manila slum of Banseco tell of how they came to "donate" a kidney or another organ to help a rich person in need − often from Japan. In "Miniskirts and Stilettos" we meet Ginto, a young lady who comes to Japan dreaming of making it big as a singer and entertainer but has to deal instead with a much darker reality; while "Mr. Suzuki Tries Again" and "Into the Snow Country" are tragicomic tales of arranged marriages where the dreams and expectations of bride-starved farmers from Japan's Deep North clash with those of young Filipino women who want to escape their poverty and go into marriage "as a girl goes into a convent." Ventura tells these stories with a great eye for detail and manages to find a ray of light even in the darkest corners, or poetry in the midst of a nuclear disaster. The book's first essay is called "The Slow Boat to Manila" and indeed, slowness is the first word that comes to mind when considering Ventura's approach to writing. Everything Ventura does is slow. He is no magazine reporter after all, and will spend days or even months getting to know a person he wants to write about. That's the kind of personal commitment and deep connection with his subject that one feels when reading his essays. Cosmicast is a cool podcast player built with iOS design guidelines in mind. It’s as useful as it looks. With a customizable grid layout and three sets of themes to choose from, if you like cool graphic interface, this could be a podcast player for you. There are no complicated user accounts or settings to configure, so you can pick it up and get started immediately. With even faster OPML podcast importing and a handy search section that’s categorized effectively to show you only what you want to see, this cool podcast player makes listening to your favorite podcasts a joy! Long-holding buttons give further options to enhance your experience and other features like drag and drop podcast rearranging, 3D touch support, imessage stickers, and siri shortcuts as well. Visits tracks where you go and builds a personal timeline & a map of all the places you’ve been. It’s automatic, energy efficient and private. It runs in the background but does not drain your battery significantly. Simply close the app and just forget about it till you need to see where you’ve been. Visits is always working for you! Anyone who travels from place to place can use Visits to find places they have been or track time to see their day better. From Vloggers to Carpenters, plumbers and electricians, who often travel to different homes everyday, Visits can help you keep track of all your job locations, how many times you’ve visited the same home and how much time you have spent at each place so you can manage your schedule better. Sensuous, avant-garde, alluring, glamorous, romantic… when people describe Gustav Klimt, words simply cannot express enough. This Austrian painter one of the most famous, if not most famous, is a celebrated Symbolist artist. It is extraordinary how his paintings are among the most expensive in the world but they have also come to adorn everything from mugs and tea towels to even a Barbie doll. Celebrating 150 years since the birth of Gustav Klimt, more than 25 works including pieces from his Golden Phase from the Belvedere Museum Wien — which holds the most Klimt collections including 'The Kiss' —, will arrive in Japan unveiling the secret of his popularity. He is most well-known for the collection of glistening, gilded works he produced during his Golden Phase, the luminous period lasted about a decade, yet it has come to characterize Klimt’s style. As the son of a goldsmith, Klimt understood metals like few other artists of his generation, and he had such a unique ability to create the illusion of precious metals, stones and jewels. Besides from glamorous glistening metallic aspect, there's a sense of freedom about Klimt's work and an uplifting quality that people can relate to. He is a rare artist who succeeded to capture radical spirit and lust and embracing them into decretive and alluring paintings. His later works, which he incorporated intricate planes of kaleidoscopic color into his compositions, culminating in designs almost reminiscent of woven tapestries, will show you a different aspects of his paintings that you probably haven't seen. Vienna, a city dense in history, art and culture, Vienna was once Europe’s capital and rightfully so. In the 17th and 18th centuries, during the reigns of Empress Maria Theresia and her son Emperor Joseph II, the Enlightenment: an intellectual movement that instigated revolutionary developments in art, philosophy, and politics emerged. Led by the enlightenment, Austria welcomed the Biedermeier Era. While only short lived, Biedermeier’s style was suffused with truth and dignity in its ‘rigorous simplicity’. 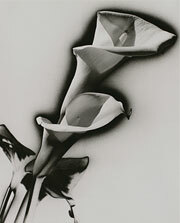 This perspective of appreciating beauty in everyday life later on became the model of modernism as well. As the sophisticated Viennese society knitted itself into a modern imperial capital, destruction of the castle walls led to the opening of the Ringstrasse. The Ringstrasse symbolizes the era of the late Monarchy, as the scene of the rise of upper-middle classes and emblematic of a flourishing artistic and cultural world. Thriving with artistic and cultural movement, The Vienna Secession Movement, the formal beginning of modern art in Austria, was seeded. Committed to a forward-thinking, global view of the art world, all-encompassing in its embrace and integration of genres, and most of all freed from the dictates of entrenched values or prevailing commercial tastes, painters such as Gustav Klimt and Carl Moll represented the new intellectual and cultural flowering of Vienna. 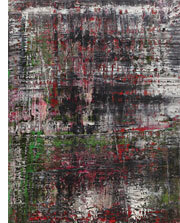 This forward-thinking nourished other following painters like Egon Schiele and Oskar Kokoschka. This exhibition will give you an overview of how the rich cultural history of Vienna was cultivated. Immerse yourself into the world of old Vienna and let the paintings take you back to the golden ages. A 'human pup' who says he has never felt like a man eats his meals out of a dog bowl, wears a dog mask and often barks at, licks and bites friends. Kaz James, 37, claims he's felt like a dog since childhood and says he always felt 'weird' and unable to relate to others before finally allowing his pup persona to shine through in his late teens. The store manager, from Salford, Greater Manchester, has had help from an online 'pup play' community and open-minded friends to transition from part-time pooch to confident canine. Outside of work he can be found in customized rubber outfits, masks, dog leads, harnesses and even a bespoke £2,000 fur suit. After a long day's work or going out socializing Kaz loves nothing more than relaxing at home and eating meals out of his dog bowl. He continued: "I feel a sense of peace being a human pup. Cats can recognize their own names but just chose not to listen to their owners, researchers claim. The study by Sophia University in Japan showed felines responded by moving their heads or twitching an ear when their names were read out among three other words of a similar length. And no reaction was spotted after the other words were spoken. Previous research has highlighted how other animals, including dogs, dolphins and parrots can too show some understanding of human vocalizations. But until now, there has been no scientific evidence to suggest felines can show such understanding. The experiment involved 78 cats in homes and "cat cafés" in Japan.